Most English speakers call it “bitter melon”, “bitter gourd”, or “balsam pear”. 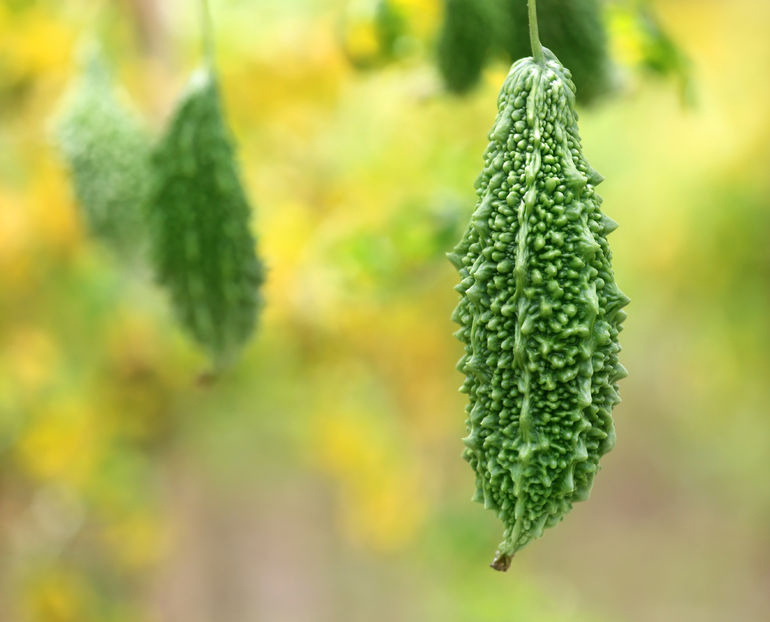 The scientific community refers to it as Momordica charantia. Karela is its Sanskrit name. As you might have guessed from its shape, it’s a kind of cucumber that grows on a long, tendriled vine. Originating in India, it is now a popular cultivated plant from Okinawa to Brazil. How does Karela look like? Karela is a longish, knobby green fruit that looks a little like it’s covered with dried candle wax drippings. Some varieties are pointier or knobbier than others, but they’re always eaten when they’re green. (If left on the vine, they’ll turn yellow and spill open to reveal pulpy, almost decadently red pulp and seeds. It’s quite a sight!) Like its popular cucumber cousins, raw karela’s texture is crunchy and wet, but as far as flavor is concerned, that’s where the family resemblance ends! How does Karela taste like? They don’t call it “bitter gourd” for nothing: karela is one of the worst-tasting fruits in the world! People who incorporate it into their cooking often stir-fry it aggressively to curtail its almost overwhelming bitterness. You’d never know it was a superfood if you were to pick it off the vine and take a bite. Right now, you might be asking yourself why we’d write an article all about karela if it’s so unappealing. True, this fruit makes an unfortunate first impression. But like a prickly friend with a heart of gold, there’s more to karela than meets the eye. What are the main health benefits and the 10 top uses of karela? Having a strong immune system is like having an invisible iron shield protecting the whole body. 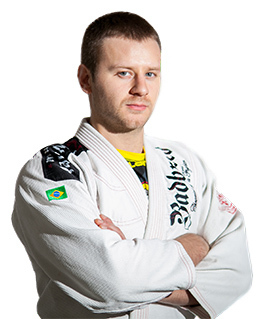 How to strengthen the immune system? The abundance of antioxidants in bitter melon helps in fighting infections, viruses and bacteria that attack your body. In addition, among the karela health benefits is the prevention of indigestion issues and allergies, both of which are correlated to our immunity by causing inflammation in the body. So due to different reasons, a stronger heart is one of the main health benefits of karela that you should explore. Nowadays, more and more people suffer from diabetes. Among the most effective medicines used against this disease are nature-based remedies. The p-insulin found in the bitter melon juice is similar to insulin. One of the most important uses of the bitter gourd is as being a natural remedy for control of the blood sugar levels. It also prevents the risks of complications from the disease. It can be consumed in the form of karela juice for diabetes, bitter melon tablets, extract, powder and tea. 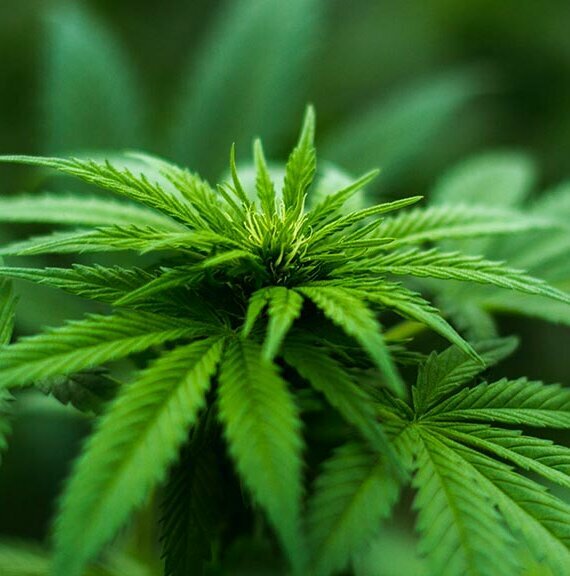 Just to make a quick clarification – these supplemental forms are idea not just for regulating diabetes, but also for fighting any other ailment this plant is known to treat or relieve. There are tens of bitter melon benefits. To clue you in further in the properties of this intriguing natural gift, simply keep reading below…. Among the health benefits of karela is the detoxifying of the liver, clearing the kidneys, and the lungs. 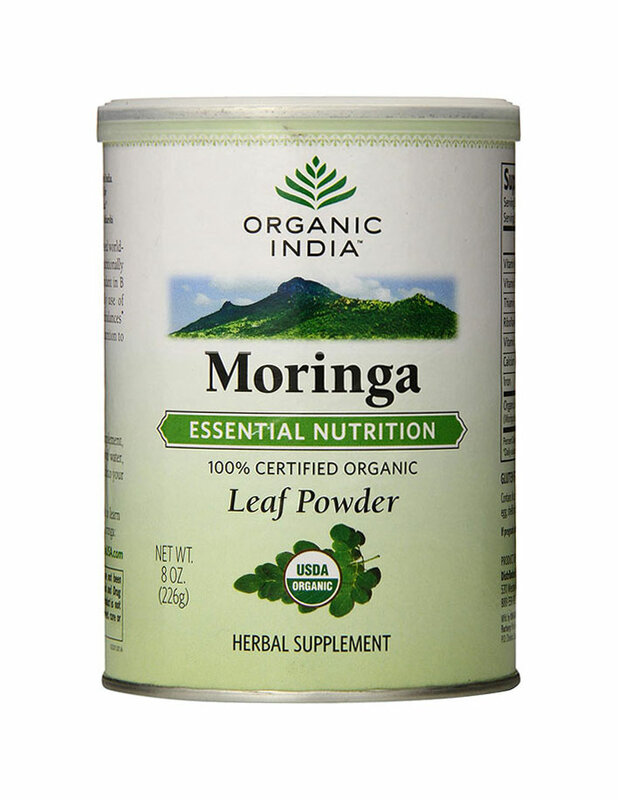 It has powerful properties for purifying the digestive tract for better functioning. 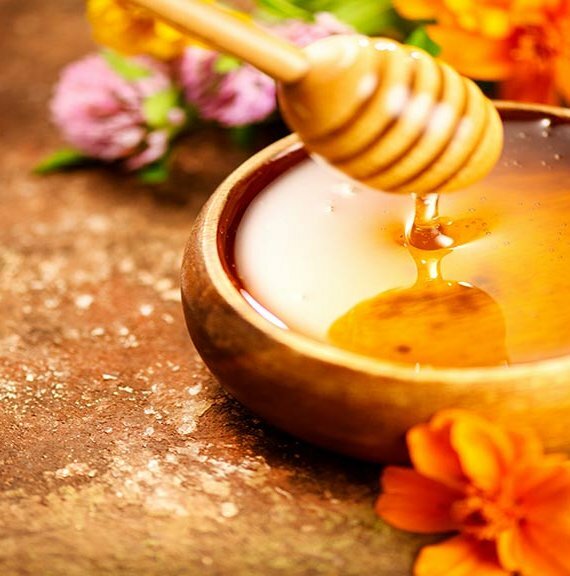 This natural remedy is effective in the treatment of kidney stones. The bitter melon fruit helps in relieving of the lower back pain caused by kidney stones. It is also effective in fighting kidney infections. Patients often use bitter melon extract, tea or tablets for prevention of kidney stones. Bitter gourd juice purifies the liver and hence blood from toxins. That’s because the liver serves as a filter when it comes to our blood. You can take karela daily and enjoy all the benefits including better blood circulation. Because of this, we can firmly say that karela can be a safe bet if you have to pick your team of top liver cleansing foods. Because it is a liver detox plant, we can deduct that karela would be highly effective in purifying the blood. Besides being a natural blood purifier, bitter gourd is also a means of lowering the blood pressure. To boot, it increases the production of red blood cells. karela reduces the levels of LDL cholesterol in the human body and thus facilitating the ease of blood flow. That, in turn, decreases the risks of heart attacks and heart diseases. The properties of the bitter melon include improving the function of the heart and strengthening the blood vessels for better overall health of the cardiovascular system. Science still tries to find the most effective remedies and medicines that will prevent and cure cancer. There are tens of studies about dozens of different foods and herbs and their effects against the multiplying of cancer cells. 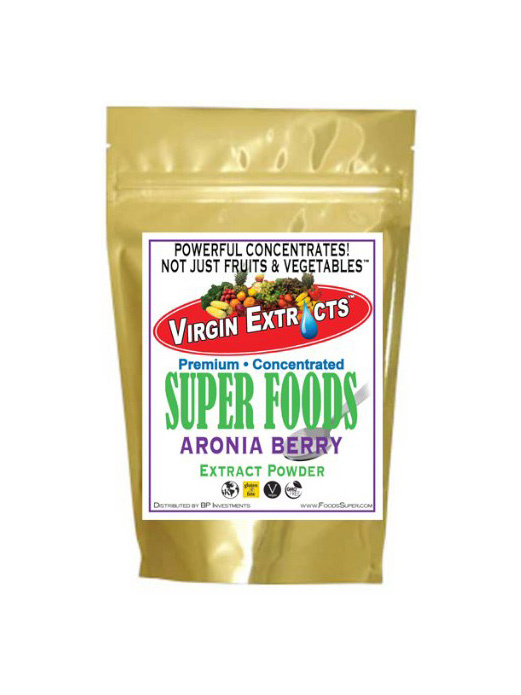 The antioxidants are among the most powerful fighters against the deadly cancer cells. How to include more antioxidants in your daily life? By consuming karela daily to keep your body healthier and stronger. Recent clinical trials and pharmacological studies show a link between ingesting bitter melon and the reduction of tumors in individuals with breast, cervical, and prostate cancer. Beautiful skin is one of the exterior signs of a healthy body. How to get rid of the acne and red spots on your skin? Start consuming powerful fruits like bitter gourd daily and you’ll notice the difference before you know it. The blood purifying properties of the fruit make karela especially effective against skin problems. You’ll enjoy healthier and younger-looking skin thanks to the antioxidants and the strong properties of the bitter melon for fighting inflammation and bacteria. he consumption of bitter gourd juice for weight loss makes your body work faster (green tea is also effective in that, so you can combine both as a natural pre workout combo). Here’s how it happens: karela contains certain enzymes that break down fat into free fatty acids, which results in fat reduction. On the other hand, it also suppresses another type of enzymes which stimulate the formation of fat cells. To boot, karela induces bile juice secretions from the liver and bile juices ease fat metabolism. Let’s not neglect the fact that bitter gourd is very low in calories (only 34 calories per 100g), which of course is crucial to weight reduction, because one of the most known weightloss approaches is the calorie deficit in which you have to count your daily calories. 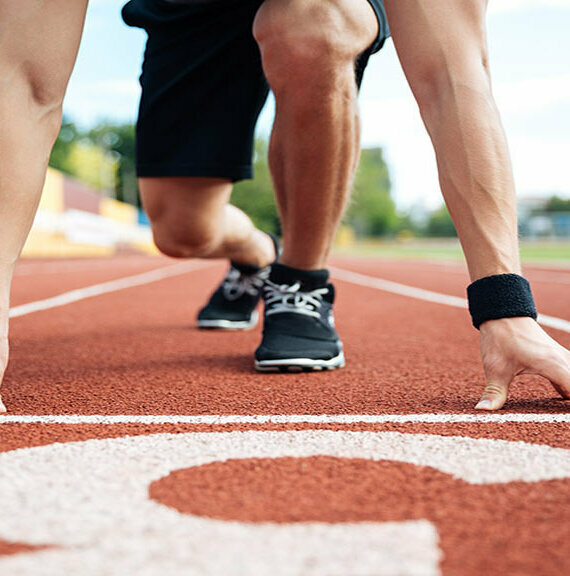 At last, but not least, the plant activates a specific protein named AMPK, which is involved in things like: fat burning, insulin release modulation, glucose uptake, inhibition of triglycerides and cholesterol buildup. Combine karela with a healthy diet and more active lifestyle and get ready to fit into those skinny jeans you keep at the back of your closet. Everyone who suffers from vision-related health issues knows how important it is to take care of your eyes and take the necessary eye health-boosting nutrients. Do something great for your eyes and add bitter gourd nutrition to your diet. 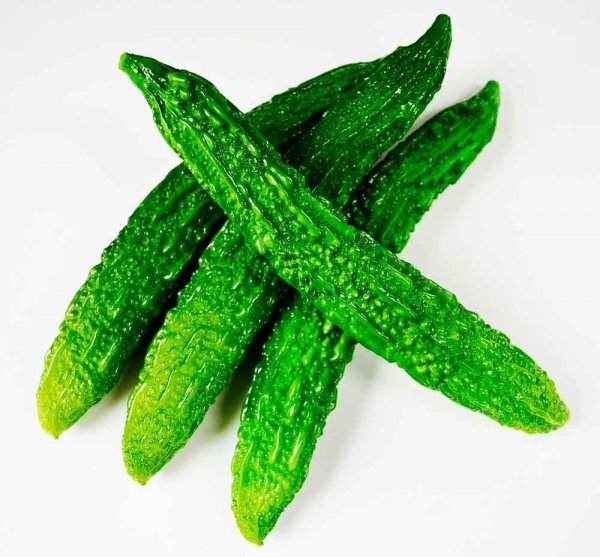 The vitamins packed in the karela fruit will improve eye functions. This amazing fruit is a source of vitamin A and beta-carotene – just what your eyes need the most. There is no need to search for a different product to help for each of these problems. Do you know that karela is a great remedy for all kinds of hair issues? Bitter melon is used for treating the scalp. Thus, you can get rid of the dandruff and give your hair a shiny, natural look. Just add to your hair a few drops of bitter gourd juice and you’ll forget about the split ends. Treating your scalp with the juice will prevent you from issues like an itchy scalp and greasy hair. You can also prevent and even treat gray hair, as well as diminish hair fall thanks to karela juice. In the first case, you can mix bitter gourd juice with curry leaves, while for preventing hair loss, you can mix the juice with an equal quantity of curd. If you start using it, you may find a lot more than 10 benefits of bitter melon. Is Karela safe for me? Are there any side effects of karela? Overall, karela seems to be a fairly safe substance, but it can cause stomach cramps and diarrhea. Certain diabetes medications don’t mix well with karela either, and if you want to try using this fruit to maintain your blood sugar, a long talk with your doctor is in order. 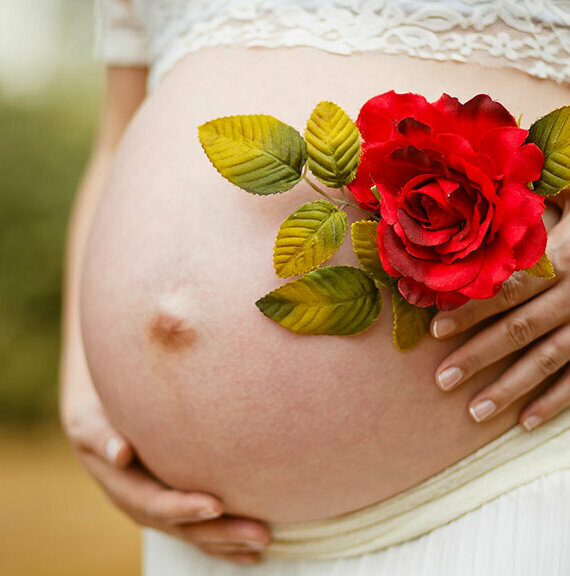 Finally, karela can induce miscarriage when it’s taken in large quantities and it might make children ill, so kids and pregnant women should avoid it. There’s a lot of potential for karela as a major medical food of the future. Research continues to uncover its incredible powers. One of the most effective natural remedies for maintaining balanced blood sugar level is karela, a.k.a bitter melon. 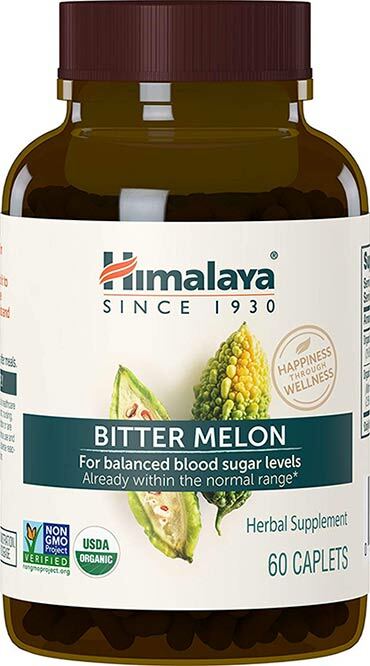 The Himalaya Herbal Healthcare company makes it easier than ever to add the bitter gourd health benefits to your daily diet with the organic bitter melon caplets. 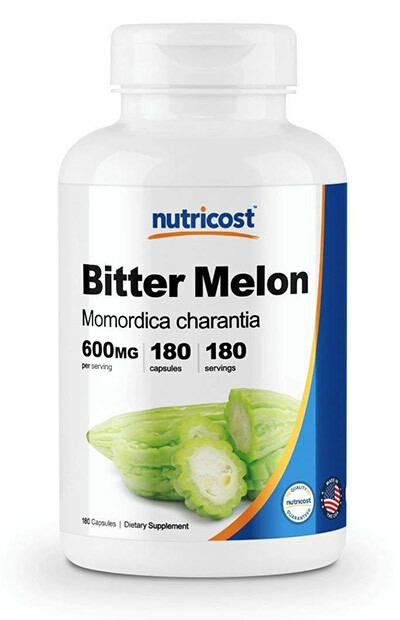 The Himalaya bitter melon caplets are the perfect solution for people who don’t like the taste of the fruit but want to use the powerful benefits of karela for their health. Each caplet contains the compound polupeptide-P extracted from the fruit. It has a proven effect on maintaining the balanced blood sugar level in the human body, especially when it is combined with a healthier diet and lifestyle. Himalaya’s organic karela, comes in a 60 caplet bottle to help you balanced blood sugar level, with a 660 mg dosage per caplet. It is suitable for vegans and vegetarians, because the caplets are free from gelatin. 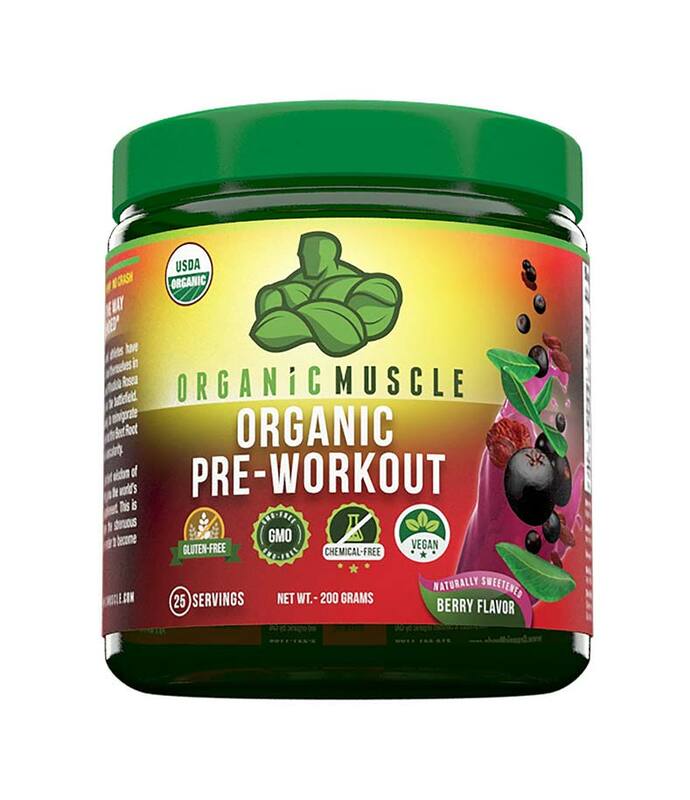 The supplement is Non-GMO Project verified. 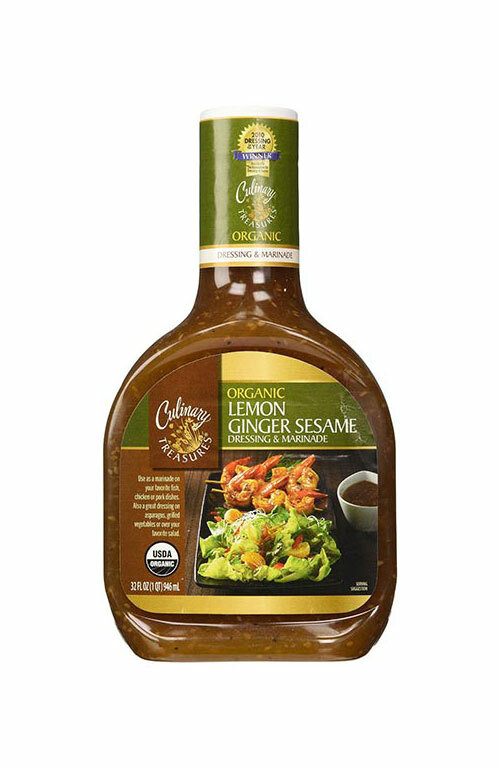 It is a great product for a gluten-free diet because it contains no corn, wheat, soy or gluten. The 60 caplets provide an adult with a full month supply. A bitter gourd supplement may improve the functions and the health of the eyes, kidneys and the peripheral neural system, and these tablets may be just the means to help you do all that. There are many different uses of bitter gourd depending on what your body needs. 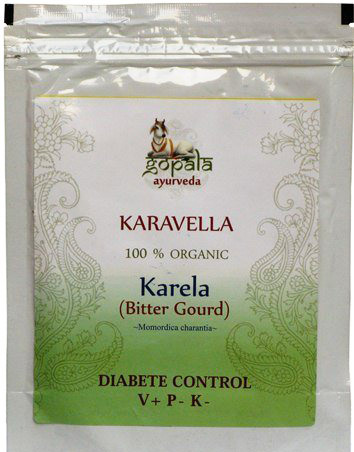 If your goal is to improve the functions of your organs and detoxify the liver, digestive tract, lungs and kidneys, you may most certainly find this karela product useful – the USDA certified organic karela powder by Gopola. As with many other natural supplements, the powder form is the easiest solution to add the benefits of the bitter groud in your daily life. It is recommended for people suffering from diabetics who are looking for natural remedies to maintain lower blood sugar levels. Among the benefits of the supplement are also the strengthening of the inner lining of the digestive tract. The bitter gourd powder helps fight inflammation, and the powder form is also highly effective in preventing ulcers and hyper-acidity. Besides using it for medicinal purposes, the organic karela powder supplement is also the perfect form of the plant to use for cooking! Karela finds its place in Indian cuisine, so find a recipe that suites you and give it a try. High-quality karela supplements like Nutricost’s GMO-free bitter melon capsules are great for people suffering from diabetis and obesity or want to keep such conditions at bay in the first place. The powerful bitter melon health benefits make the plant an effective solution for maintaining of steady glucose levels in the human body. Bitter melon is recommended for pre-diabetic and diabetic patients. However it can also be used by people trying to achieve their weight-loss goals by changing their lifestyle and diet. If it is convenience you want, capsules are perhaps the easiest and quickest way to take this super food, therefore they are very appropriate for all those who have a busy daily round. You can bring your bitter melon capsules even at work or school and pop one any time you want. Each bottle contains 180 capsules for an easy daily intake and the dosage of a single capsule is rather generous – 600mg. The non GMO karela capsules are gluten free and vegan-friendly. This one is perhaps our favorite pick, since we’re deep into juicing all sorts of veggies, fruits and herbs. If juicing is an inseparable part of your healthy lifestyle, the organic karela juice from Verdic would be a fantastic inclusion in your diet. Besides the karela powder, the juice form is also considered to be rapidly absorbed, (perhaps even absorbed the quickest), hence it’s great for all those who seek maximum efficiency. The company Verdic offers the karela juice in a 1000 ml container, packed with essential vitamins and nutrition, and if it’s a fluid form you want, we’ll spare you the trouble of wondering where to buy bitter melon juice. Karela juice benefits are dozens.. The bitter melon juice is highly recommended for people with diabetics because it is an effective remedy for lowering the blood sugar levels. 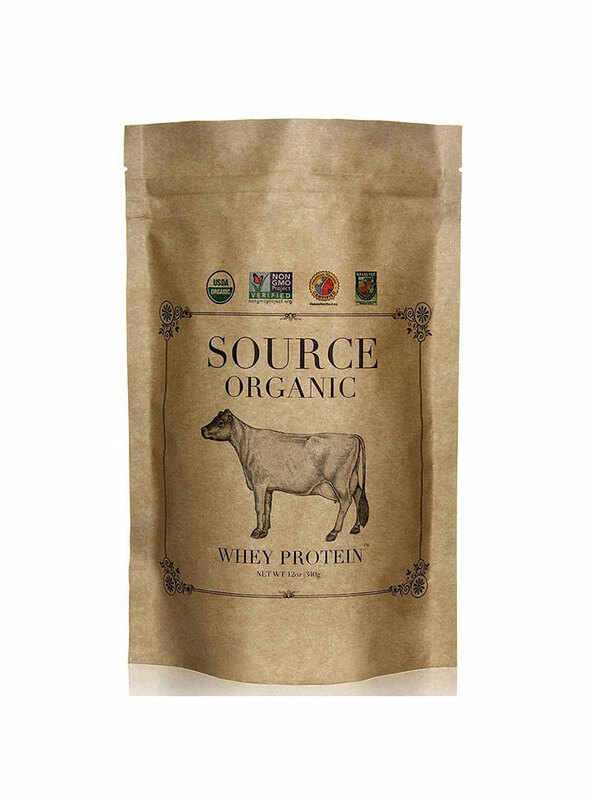 The recommended consumption of the supplement is 2 tablespoons per day, taken before food. 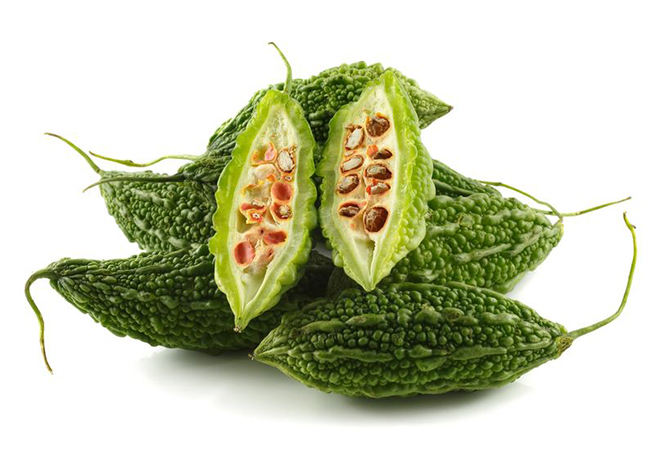 The karela juice benefits for skin health and appearance are obvious after the first weeks of consumption. The plant-based liquid also exhibits powerful purifying properties when it comes to cleaning the body from toxins in a natural way, so if you’re planning a detox soon, why not do it with this natural elixir? 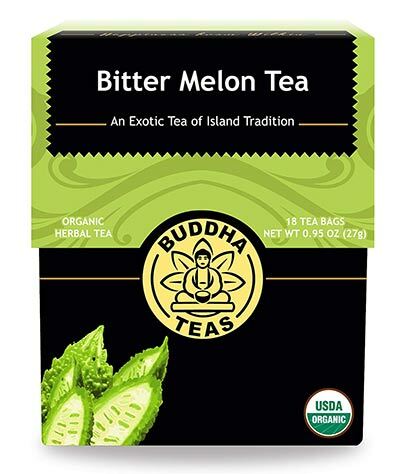 The Buddha Teas company offers great products for the fans of natural remedies for healthy body and life, and their organic bitter melon tea bags are just the example that fits most in our case. The tea blend is a great mixture of flavors. Each bitter melon tea bag contains an extract of karela to deliver all the benefits of the fruit with every cup of delectable infusion. 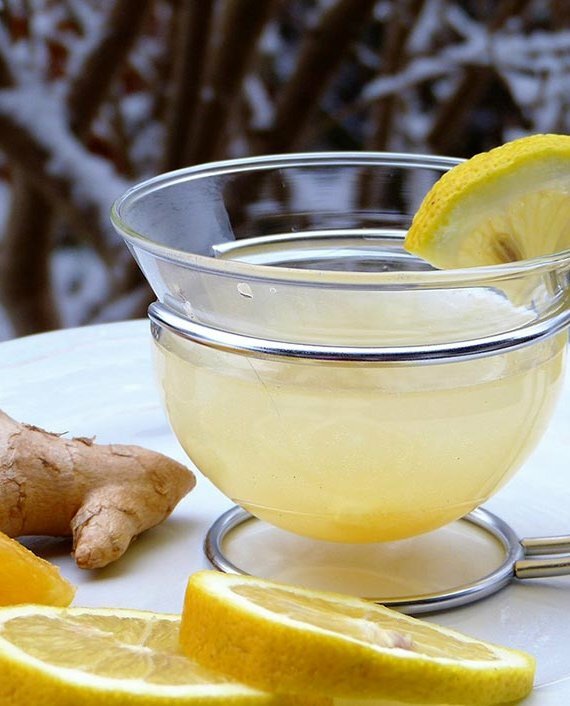 The product is fully packed with vitamins and nutrients, such as calcium, selenium, iron, zinc and the vitamins A, B and C. which also makes it a marvelous anti flu tea option in the cold winter. The tea bags are made from bleach-free, biodegradable material. The karela tea contains no Caffeine. 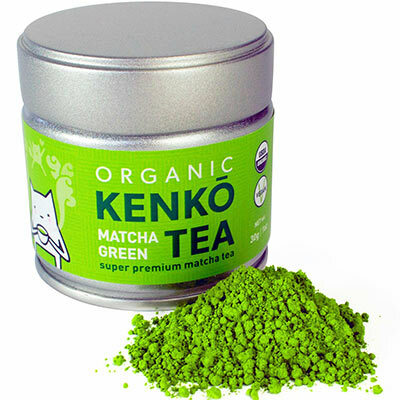 It is taken both as an organic supplement and a natural infusion that is sure to please every tea fan. It’s also kosher approved and gluten free. If you want to provoke the gardener inside you and grow karela fruits yourself, you can get some of these karela seeds. Cultivating bitter gourd guarantees you that you’ll have your own organic fresh karela, grown the way it should be. That way you can use karela fruits in culinary dishes as well as for juicing. You can also dehydrate them if you have a food dryer and so on and so forth. If you live in a house and have a garden, then you have the perfect conditions at your disposal to grow bitter melon. Don’t worry if you live in an apartment, because you can always take advantage of an indoor food planter which is going to do the job just fine. Me and family have eaten karela a few times. It is bitter, but the seeds are kind of sweetish. It’s also really good as an ingredients in veggie stews.